The Leadership of Cal State, Northridge meets with the TEB foundation at the City Club of LA to create the Tom & Ethel Bradley Center at CSU, Northridge. California State University, Northridge has joined forces with the Tom and Ethel Bradley Foundation to develop a unique resource for the study of the ethnic communities of Los Angeles and the sharing of their stories. The Tom & Ethel Bradley Center at CSUN will build on the efforts of the university’s Institute for Arts & Media to preserve the visual history of Southern California, with an emphasis on ethnic minority communities. The Bradley Center will continue the collection and archiving already done at CSUN and will encourage research into and exploration of the collections. The Tom & Ethel Bradley Center at CSUN will build on the efforts of the university’s Institute for Arts & Media to preserve the visual history of Southern California, with an emphasis on ethnic minority communities. The Bradley Center will continue the collection and archiving already done at CSUN and will encourage research into and exploration of the collections. The Bradley Center will continue the institute’s efforts to preserve the area’s visual history, but will have a renewed focus on the years when Tom Bradley served as Los Angeles’ mayor, from 1973 to 1993. 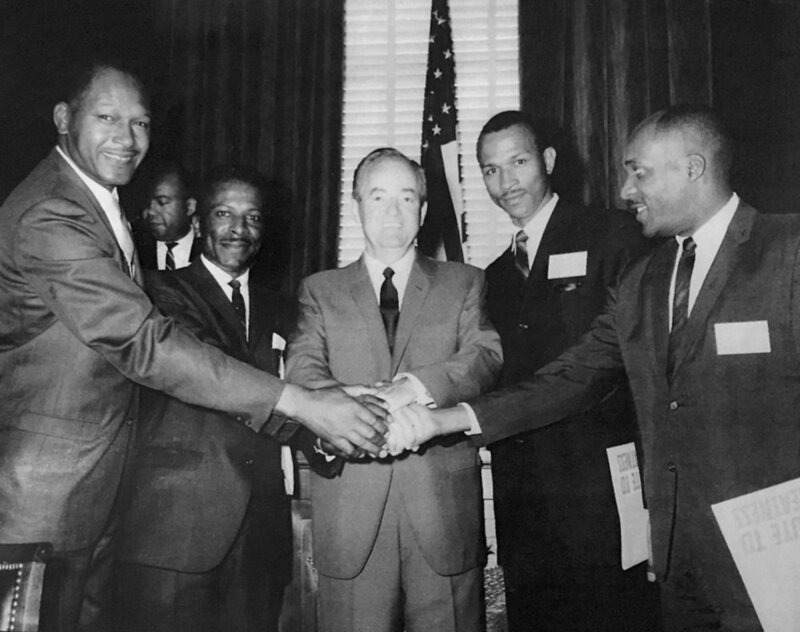 Tom Bradley shakes hands with Vice President Hubert Humphrey. The Tom & Ethel Bradley Center has over one million images produced by Los Angeles-based photographers that document the social, cultural and political lives of the diverse communities of Los Angeles and the Southern California region between the 1910s and the present. 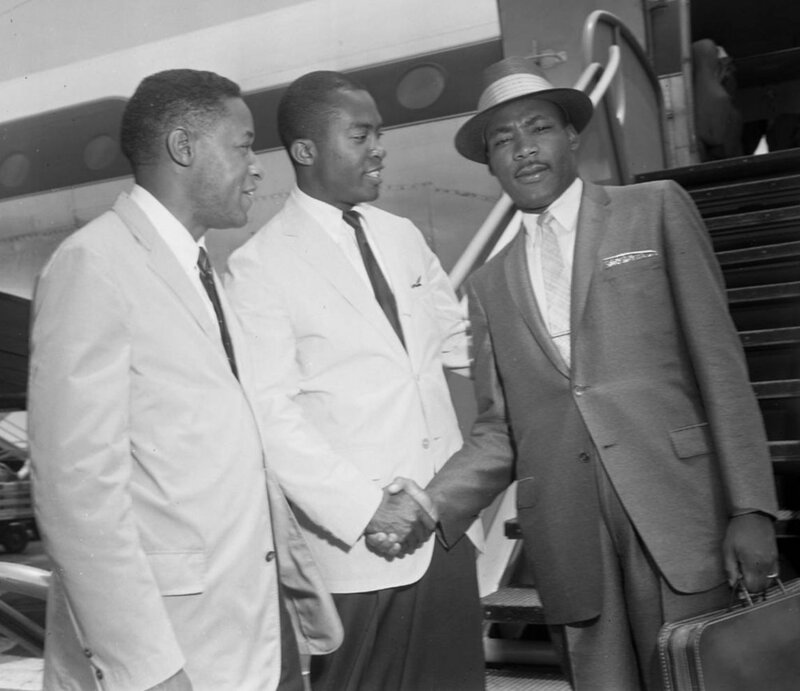 The archives contain one of the largest collections of African American photographers west of the Mississippi and the most extensive collection in Southern California. Served as consultants to develop a high school entrepreneur project. Streetology Project / Say Yes Inc. Served as consultant addressing transitions for gang members. Serves as advisors to the Executive Director on the issue of media and disadvantaged communities and cultures. Serves as consultants for behavioral learning challenges. Sponsored student youth participants with hotel accommodations and transportation. The TEB Foundation's Intentional Civility philosophy serves as the core curriculum. The TEB Foundation has received eight requests from the United Teachers of Los Angeles to provide the keynote addresses at teacher conferences. Serves as the primary community advisor to the school on civility issues for administrators, teachers, parents and students, and also as community partner with the Business Academy and as founding partner with the Greater Crenshaw Educational Partnership. The TEB Foundation and Junior Achievement are strategic partners in financial literacy. The TEB Foundation and Junior Achievement are partners in educating trainers and Head Start program parents in financial literacy and Intentional Civility. Developed an Intentional Civility curriculum for community engagement. Served on the advisory group developing i-division. Served as advisor to designing and developing yout. Served as lead organizer for developing the alliance. Served on the advisory board.